So a glance at the calendar today made me realize that exactly three weeks from today I will be headed down centerline for the last time this year at the CBLM USDF Region 1 Finals. It has been a challenging show year, but not because our work. Mother Nature conspired to make the weather front and center at most of our licensed shows. She has a sick sense of humor…torrential rains right before our first and second shows made footing an issue. And hellish heat invaded the second two shows. So, Mother N, what is in store for October? Snow? Hail? Locusts? And while some would be disappointed to end up with three red ribbons (we scratched our last ride because we ran out of gas), I could not be more pleased with the results of our most recent show two weeks ago. Our scores from the Rose Mount show were our personal best for the tests we rode. Our first class was Second Level test 2 and we managed a 68.834%. Yes, I know, it almost seems like I typed the wrong numbers. I was warming up for test 3 when I heard my score. Pretty sure my mouth was a big fat O. Holy moly!! I had whispered to Ike right before we entered that we should shoot for a 68%, but I didn’t think we’d actually pull it off. 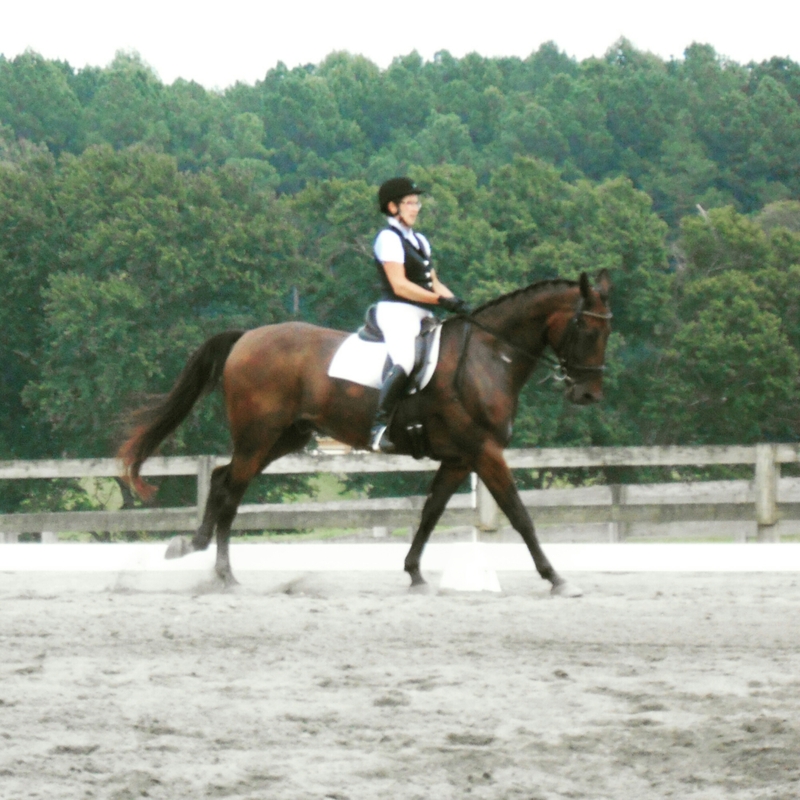 With those scores, Ike earned the final score necessary to complete his USDF Second Level Horse Performance Certificate. Not sure he is as proud of that as I am. He seemed to be more thrilled with the free treat samples we got in the competitor’s gift bag. So now we are doing our final preparations for October 14th. Ike’s pedicure is done. His winter coat is coming in fast and furious, so he has hair on his face again. Ms. C will hop on him once or twice for some fine tuning on his lateral work. Our lessons will be intense. I need to keep my eye on our goal: our best ride of the season.